Installation or Replacement of an Air Conditioning System is a HUGE Decision…. Get the Excellent Service, Low Price, and Quality AC Installation You’re Promised – GUARANTEED. Trucks are always clean and fully-stocked… around the clock! New Port Richey’s Biggest Air Conditioning Event of the Year! Systems and installation are now starting at just $62 per month or choose ZERO INTEREST EZ-Pay, allowing you to pay-as-you-go for the installation with the energy savings your heat pump will provide. Pay $63/mo or Zero% INTEREST for 3 Years - On Your Heat Pump A/C Installation Before Summer 2017! This is Your Invitation to Try Out New Port Richey's most reliable HVAC dealer! We can’t emphasize enough how critical it is to have knowledgeable, experienced professionals to complete an install. Even the tiniest mistake during installation can make a giant impact on future operational costs (30% or more!). This can hurt your wallet tremendously over the lifetime of ownership. We’d like to emphasize that word, a lifetime of ownership. A new install or replacement can present the opportunity to save over a lifetime (if you choose the right company). How would a customer know if the installer adequately removed moisture from the refrigerant lines? How would the customer know if plenums were sealed the right way and static pressure calculations set to the exact specification? Even if you think your New Port Richey air conditioner is running well, it may not be. A lot goes into understanding if it’s running to the best of its potential. Completing a proper install or replacement- is so much more than that, it is a science… and we offer honorable, NATE-Certified technicians with decades of experience. Now, Enjoy Huge Savings with a New Port Richey Air Conditioner Installation … During the Big A/C Event! Right now, get our best deals and lowest prices of the year during The Big A/C Event going on right now. Let our New Port Richey Air Conditioner professionals handle your installation and try out the system for 1 full year- 100% satisfaction guaranteed. We value our customers and are so confident in our ability to be the best choice...that we offer a 100% RISK-FREE guarantee. Get the Excellent Service, Low Price, and Quality Installation You’re Promised – GUARANTEED. The form has been successfully sent. We will be in touch in just a few minutes during regular business hours! Do you know what the most important thing is for a New Port Richey air conditioning installation contractor? It isn’t tools, or courtesy, or salesmanship. It’s experience, and what you do with that experience. I suppose you could call it wisdom. It comes from a combination of training and time spent on the job, and requires a repairman to keep his eyes, ears, and mind open. There is no panacea, no all-purpose HVAC solution – there is no system that will work in every home. That’s why you don’t get a written, itemized estimate until the AC company has seen your home and done some calculations. Our wisdom does, however, give us a little insight. It does let us know when something is going to be a great starting point for an individual conversation. In New Port Richey – and the rest of Florida – the technology that fits that description is a heat pump. Why would someone from Florida need something called a heat pump? Actually, heat pump is a pretty misleading name. A heat pump is an extraordinarily versatile appliance, replacing your central air conditioner and your traditional oil, gas, or electric heating methods. It’s the closest thing to a one-size-fits-all device out there. New Port Richey residents experience comparatively mild winters. Thus, gas furnaces are needlessly expensive to install, maintain and operate when one device could replace it and still keep you cool in the summer. Heat pumps are finding their way into more and more residential homes as people gain a better understanding of what these cooling systems can offer, namely efficiency, streamlined use of space, and a greater degree of home comfort. When you understand how the technology works, the name makes a little more sense. Heat pump systems change the temperature in your home – literally by pumping heat. In the summertime, they gather warm air from inside your home and pump it out, cooling the interior. In the wintertime, they gather warmth from outside and pump it into your ducts. That’s part of the reason this type of heating and cooling system uses comparatively little electricity, especially compared to straight air conditioners with electric heat. It is much simpler – and less energy-intensive – to move heat than it is to generate it. With a heat pump, you could use as little as half the electricity of your average central AC unit. Also, you get to bypass the use of gas or fossil fuels entirely, meaning you can take advantage of the generally lower rates of electricity. A heat pump looks almost exactly like your central air conditioner – an outdoor condenser AC unit, and an indoor coil and blower assembly. If you already have ducts in place from an older system, upgrading to a heat pump requires few changes (although we do recommend having your ductwork inspected for leaks and insulation issues during the installation phase) to install. We can’t make that decision for you, but we can advise you. Homes are not created equal, and it is possible that there are things about your home or lifestyle that would encourage leaving your existing HVAC system in place. A super-efficient air conditioning system needn’t be replaced, of course. However, if you’re ready for change, for any reason – age, disrepair, tax incentives – there has never been a better or easier time to upgrade to a high efficiency heat pump system. We’ll talk more about those somewhere down the line in our blog. Call us and ask about heat pump systems today. It’s not a secret that we’re big supporters of Carrier Air Conditioning installation. 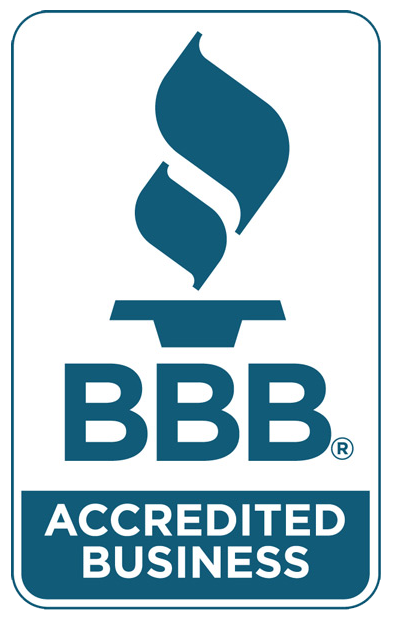 We wear our Hall of Fame badge proudly on our websites, and we have been recognized nationally as one of the most experienced and decorated Carrier factory authorized dealers out there. 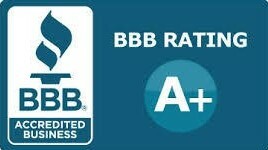 Our certified technicians serve New Port Richey and Florida residents with distinction. Our association with the Carrier AC name has been a part of our company for over four decades. And it’s not a fluke. Our installation team works hard to be the very best. We are ready and willing to work on central air conditioners and heat pump systems manufactured by almost anyone, but we do recognize that Carrier is a cut above the pack in quality. Few manufacturers have their pedigree, and fewer still have their expertise. To really understand that, you’ll need a (very) brief history of the Carrier name. Willis Carrier, 1902. A young Cornell alumnus with a job as an engineer gets asked to solve a unique problem: a printing company can’t work in the heat. Their inks run, huge projects are getting held up, deadlines are being missed, and nobody is happy. Carrier has an epiphany that is best left unexplained here for the sake of brevity. He submits designs for an Air Treatment Apparatus – the first real, modern air conditioner. In 1915, after his company goes to focus on other projects, he invests his entire life savings into starting the air conditioning company that bears his name to this day. Carrier passed away in 1950, having already turned his company into a juggernaut. He owns 80-odd patents at the time of his death, and the company continues on without him. At that time, most air conditioners were enormous, and installed primarily in theatres, office buildings, and big commercial structures. Not long after his death, the Carrier company cracked the secret for making smaller, more affordable systems, and suddenly normal, everyday folks are able to afford Carrier central air conditioning units. That little bit of technology caused a population boom in the South and Southwest, by the way. Including Florida. Since then, Carrier Air Conditioning has consistently been at the forefront of the industry. There is never a day where their employees aren’t working hard to innovate, and so a Carrier system is always a safe bet. With 102 years (at the time of this writing) under their belt, it’s no wonder they’ve gotten pretty good at this. 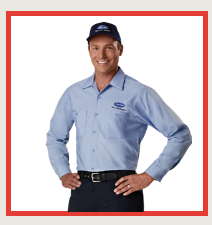 We enjoy Carrier AC products because they need less work, and because when they do need work, our installation and repair technicians know them so well that the work is simple – so you save time and money, and everyone wins. When is a good time to switch to a Carrier heat pump or air conditioner? If you’ve got a relatively new AC system that you’re happy with, we’ll tell you to hang in there with it and be happy. If, however, you are due for an upgrade, or your system is costing you more money than you’d like, get in touch. Carrier AC installation prices are usually very competitive – and they just so happen to make the most efficient Inverter driven air conditioner on the market today, the Infinity 21. There are incentives and financing options available to upgrade your residential home to a more efficient system. 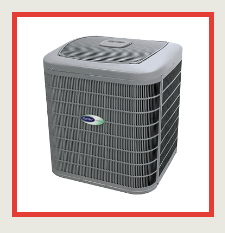 With Carrier’s flagship model boasting a remarkable SEER (Seasonal Energy Efficiency Ratio) rating of 21, you’ll find that cooling system paying for itself in short order. You’ll have lower energy costs, lower operating costs, and your home will be cooler, less humid, and more comfortable than you’ve ever experienced. Let us know if you want more information about Carrier AC systems! We’re always here for you. This is the era of DIY, and we know that. We’re all for it, when it’s safe. To that end, we’ve been compiling articles to answer some of your most common HVAC questions. We’re aiming to be informative, relevant, and open with you. Our customers call us with concerns frequently; and where other companies might use that to pressure someone into a sales call, we believe in honesty over greed here. You don’t have to subscribe to read the blog. You don’t have to pay for anything. You don’t have to hire us, even. We hope that you find useful information contained in every one of these articles, and if you find that you have a question we haven’t addressed, we encourage you to reach out and tell us. The first thing the average handy homeowner does when they run into an HVAC problem is Google it. We completely understand that most of the time, you’re hoping it’s a simple fix or something you’ve overlooked. If it’s something that can be safely fixed without professional aid, we’ll do our best to talk you through the process. CARRIER AC AND HEAT PUMP INSTALLATION – DOES OVER A CENTURY OF EXPERIENCE REALLY MATTER? NEW PORT RICHEY HEAT PUMP SYSTEM – IS HIGHER EFFICIENCY WORTH THE EXTRA COST?